Sailing has been an important part of my life since I was quite young. After graduating from The University of California, Irvine with a degree in aerospace engineering, I choose not to go to work designing airplanes like most of my peers but instead followed my passion for boats. Since then I have been fortunate to spend my time at the forefront of high performance sailboat development. 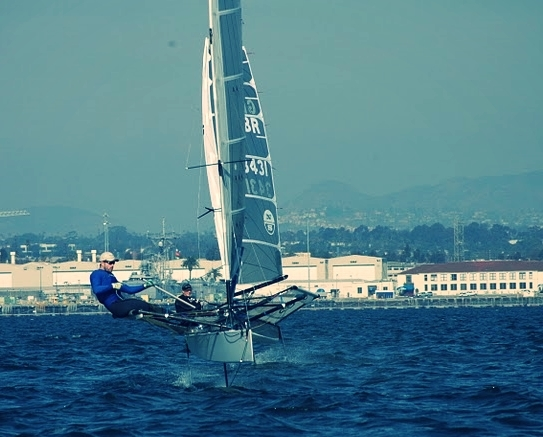 From the Americas Cup to offshore racers, beach cats, and cruising boats, my aerospace background has aligned perfectly with the recent emphasis on foil design. I can combine practical experience, composite structural design, and wealth of hydrodynamic knowledge to create mew and exciting designs. To come up with new ideas and push the limits of performance, the most important asset is a creative mind and a willingness to try new things.